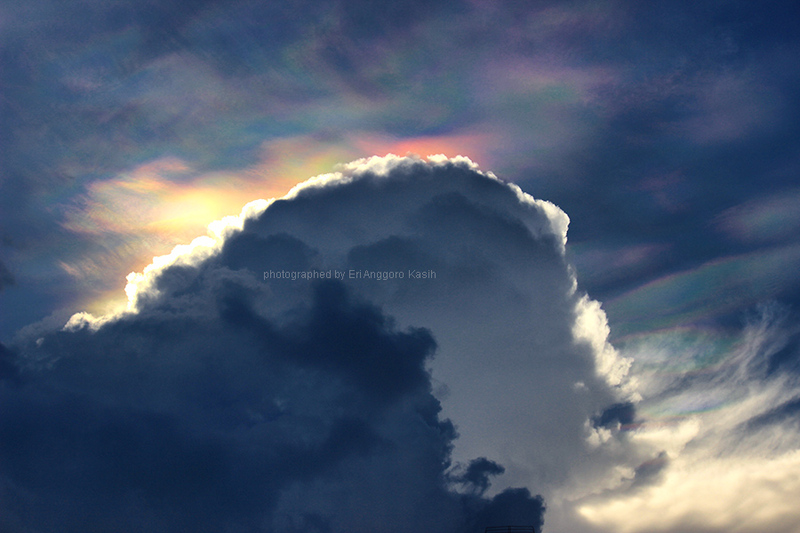 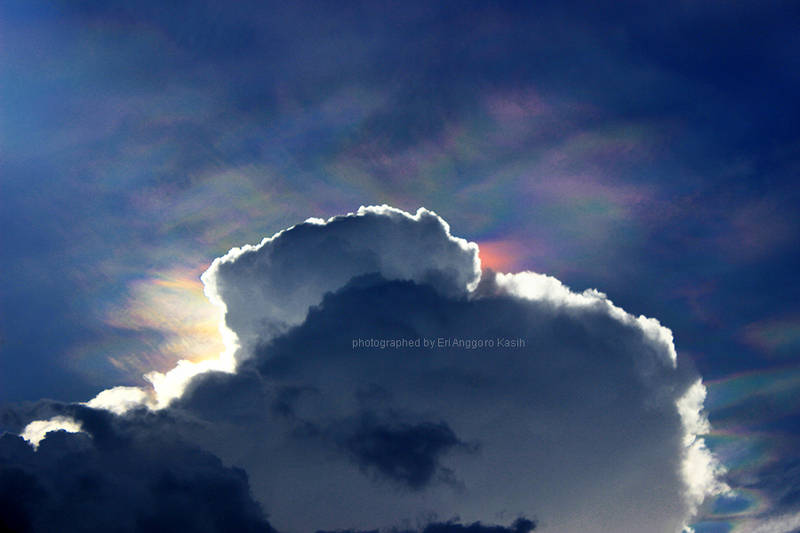 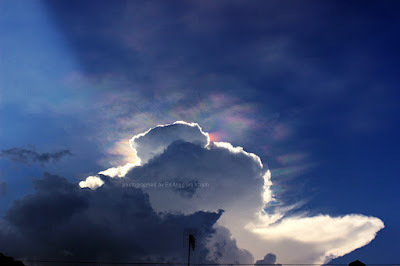 Rare phenomenon happened over Tasikmalaya's sky. 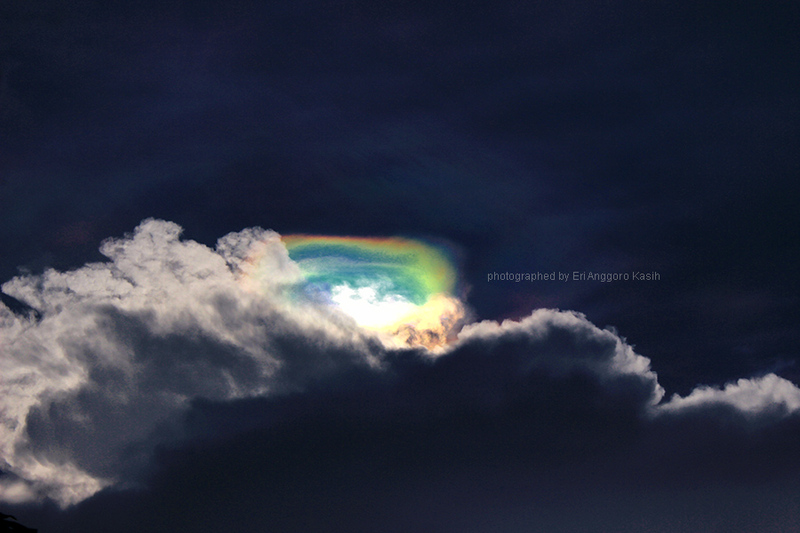 There were rainbow called fire rainbow. Fire rainbow also called as circumhorizontal arc. A circumhorizontal arc is an optical phenomenon formed by the refraction of sun in plate-shaped ice crystals suspended in the atmosphere, typically in cirrus or cirrostratus clouds. Another fire rainbows pictures are mention below. Fire Rainbow over Tasikmalaya's Sky on Sunday is so beautiful.